Andrea obtained her LLB (Bachelor of Laws) at the University of Natal, Pietermaritzburg in 2003. 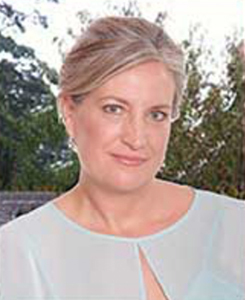 Andrea completed her Articles at Deneys Reitz Attorneys, in their Durban Office and then joined Woodroffe and Kleyn Attorneys in 2006 as an Associate. At Woodroffe and Kleyn Andrea quickly moved through the ranks from Associate to Partner. In this time Andrea built up a substantial litigation practice including a number of blue chip clients. Andrea is experienced in many areas of the litigation field including General Litigation, Professional Indemnity Insurance Litigation, Third Party claims, Maritime claims, Labour law, Family law, Constitutional Law, Estate Agent Commission Claims, Residential and Commercial Rental and Eviction, General Commercial Litigation and Construction Law. Andrea completed her Master of Laws degree in Advanced Constitutional Law in April 2011. Andrea, saw the benefits of a boutique styled law firm in which the appropriate use of technology could assist in curbing the costs of litigation and allowing for greater and more expedient interaction with clients. Always keen to expend her horizons, Andrea joined the lecturing fraternity and for a number of years lectured part-time at the tertiary education institution, Varsity College (Westville campus). Liezel Schultz is an experienced Conveyancer and Specialist Property Attorney having practiced in this field for 16 years. Liezel participated in a partnership at Prior and Prior Attorneys from 1996 until 2000, at which stage she joined Woodroffe and Kleyn Attorneys and successfully headed up their expanding Conveyancing department. After 13 years at Woodroffe and Kleyn Attorneys, Liezel felt compelled to undertake a new challenge and start a firm in which the one-on-one nature of Conveyancing was rekindled and where new and dynamic technologies would be embraced to expedite bond and transfer instructions. Liezel’s experience in the Conveyancing field includes integral involvement in a number of development schemes comprising residential and commercial township developments as well as sectional title developments. Liezel drafted the necessary Agreements in respect to the schemes and followed the process through to the registration of the transfers in the Deeds registry. As a Notary Public, Liezel drafts and notarizes all documents requiring a notarial seal, including antenuptial contracts and notarial bonds. 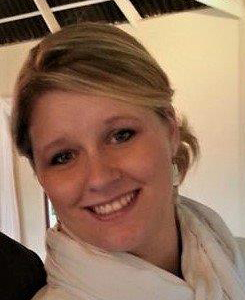 Liezel, like Andrea, appreciates the value in educating prospective attorneys and too, has taken a part-time lecturing position with Varsity College Westville.